While I’m normally thrilled to receive an email from our friends Luki and Elmari on s/v Skebenga, now that they’ve been gone from the Rio for a few weeks and have made their way all the way up to Isla Mujeres Mexico to meet family, I received an email today from Elmari that made my heart sink. Skebenga is going up for sale. 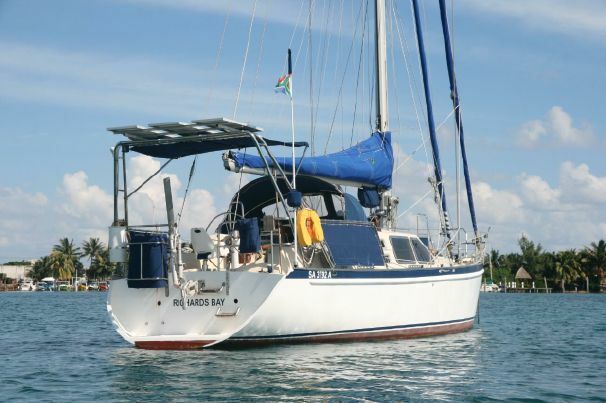 We knew their cruising adventures were coming to a close, that this summer’s crossing of the Atlantic would be their last big hop as they prepared to re-start their lives on land in South Africa. 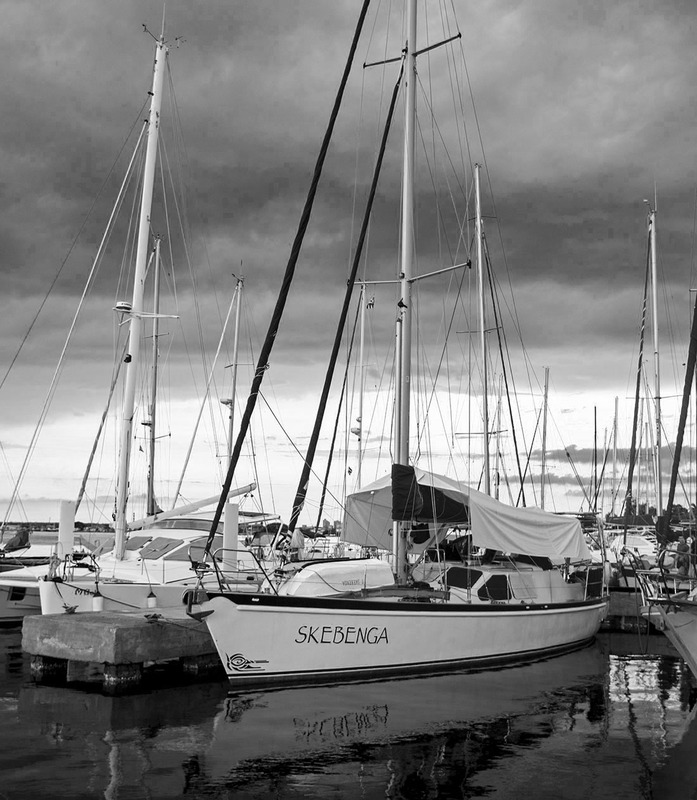 Their original intent had been to bring Skebenga to the Mediterranean and keep her in a marina in Greece, working during Africa’s summer months and then sailing during the Med’s. This made us very excited as we’re headed off to the Med and really wanted to cruise the ground with them, not only because of their intense knowledge of the area, but because they’re great people and we love spending time with them. But after some discussion on their part, they decided the best thing for them right now is to leave the cruising life behind. This makes us very, very sad. It is, however, very good news for you. 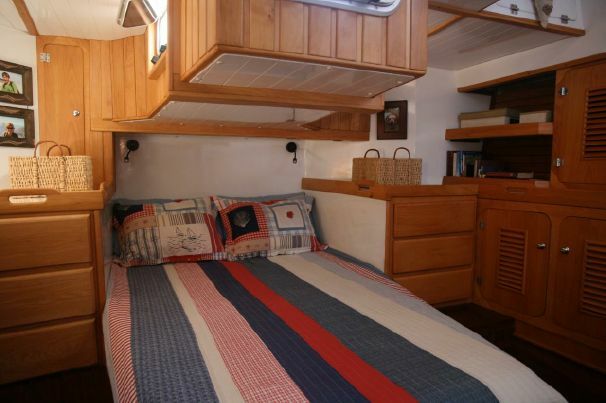 No offense to all the other boating friends we’ve met along our travels, but s/v Skebenga is the best cruising boat we’ve come across so far. And now, she’s up for grabs. Skebenga is a 45′ steel hulled cutter rig designed by Dudley Dix and built by Luki himself, with the hull registered in 1998 and launched in 2006. The engine is a Yanmar 75 hp diesel that has been kept in immaculate condition. 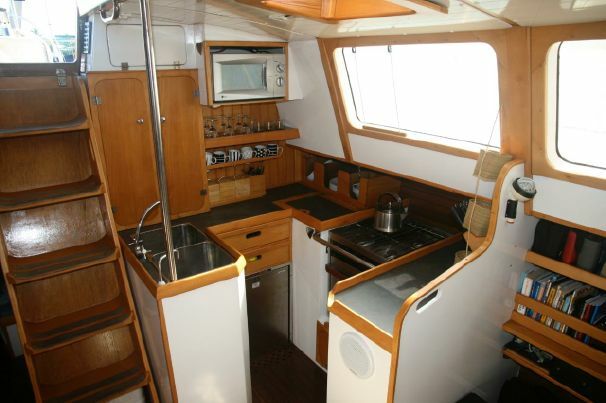 She also comes equipped with solar panels, 600 aH gel battery bank, SSB, and a HRO Watermaker. Other extras include a windvane and an asymmetrical spinnaker. 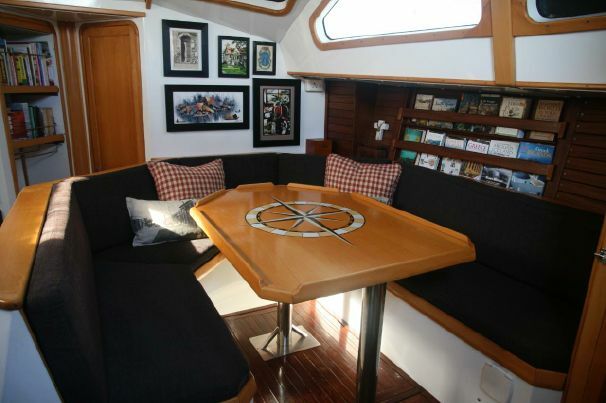 Listed at $180,000, trust me, this fully equipped cruising boat is a STEAL. 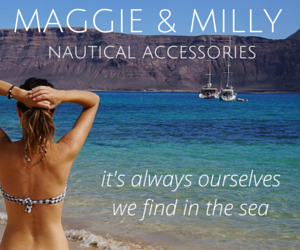 If you or anyone you know might be interested in a new cruising boat, definitely make sure to check into this more, I don’t think you’d be disappointed. 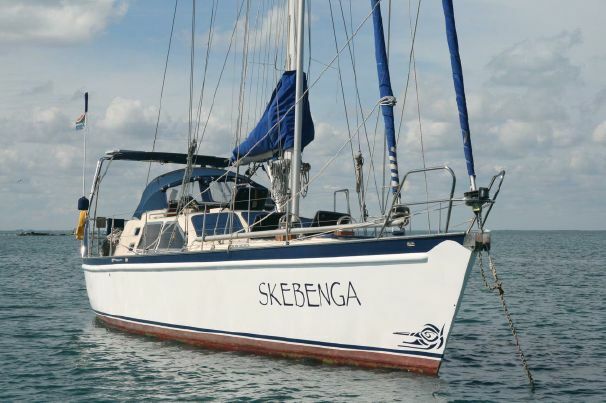 Skebenga is currently en route to Florida with an arrival date in Mid February, but make sure to check out full specs and photos on their link on Yacht World. *While I would not feel comfortable giving out Luki and Elmari’s contact information on behalf of them, I would be MORE than happy to pass your information on to them for anyone who is interested.